LOVES: The sound of a family member returning home and hearing the name of one of our dear friends. Either event will cause Brick to scamper around and bark his happy bark. He likes to greet people at the door by jamming his giant blockhead into their stomach. HATES: Loud noises. Among Brick's least favorite are fireworks and the vacuum. Fireworks obviously don't pose a big problem but, thanks to Brick's constant shedding, I run the vacuum at least once a day. Click here to see more Things Brick Loves/Hates. LOVES: Sleeping. The Beast can fall asleep just about anywhere but his favorite napping places are the middle of the boy's double bed, the sofa in the den and any one of the plush rugs scattered throughout the house. 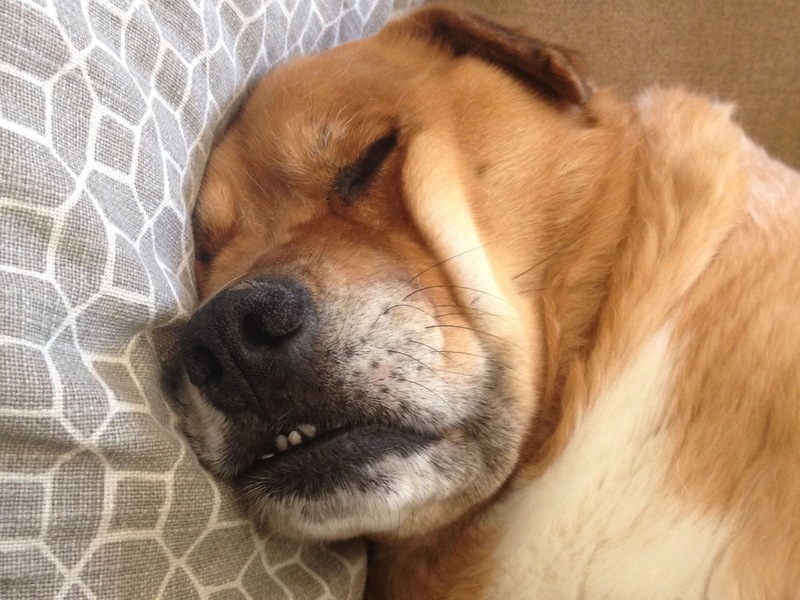 Brick is incredibly lazy and spends his days moving from one sleeping spot to the next. HATES: Being wet. His water phobia includes swimming, wading in creeks, being bathed or having to go outside when it's raining. 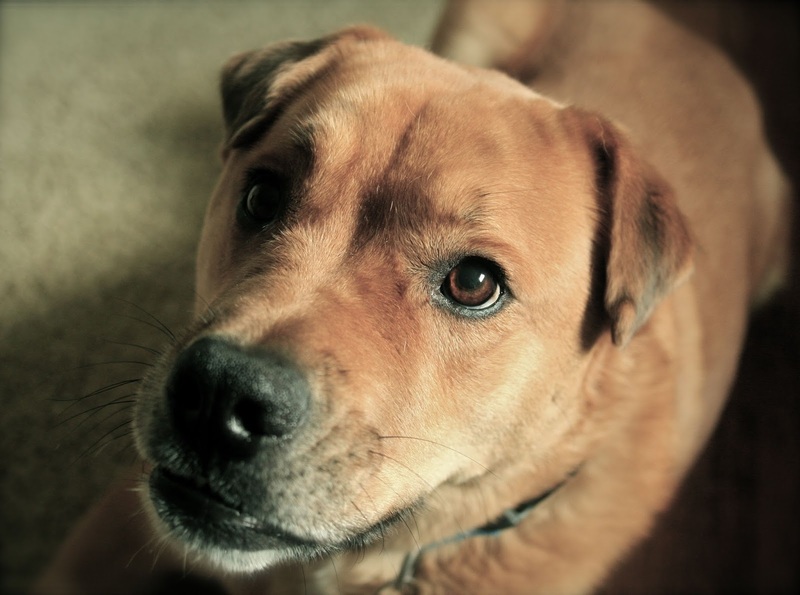 His response is always the same: head hung low, tail between the legs and sad look in his big brown eyes. 4175. The curly-q vines of cucumber plants that wrap themselves around anything they can reach including nearby tomato plants. 4176. Celebrating my hubby's birthday. I'm so glad we get to grow old together. 4177. Leftover prime rib, sliced thin and served French Dip style. Delicious. 4178. Air conditioning in my car that blows cold. 4179. A boy who plays drums for hours and hours every day. I love listening to him play. 4180. Driving down the Natchez Trace with the windows down. 4181. Afternoon thunderstorms that water the garden on hot summer days. 4183. Watching Brick and our friend's dog, Lucy, race around the yard during her week-long visit. 4184. 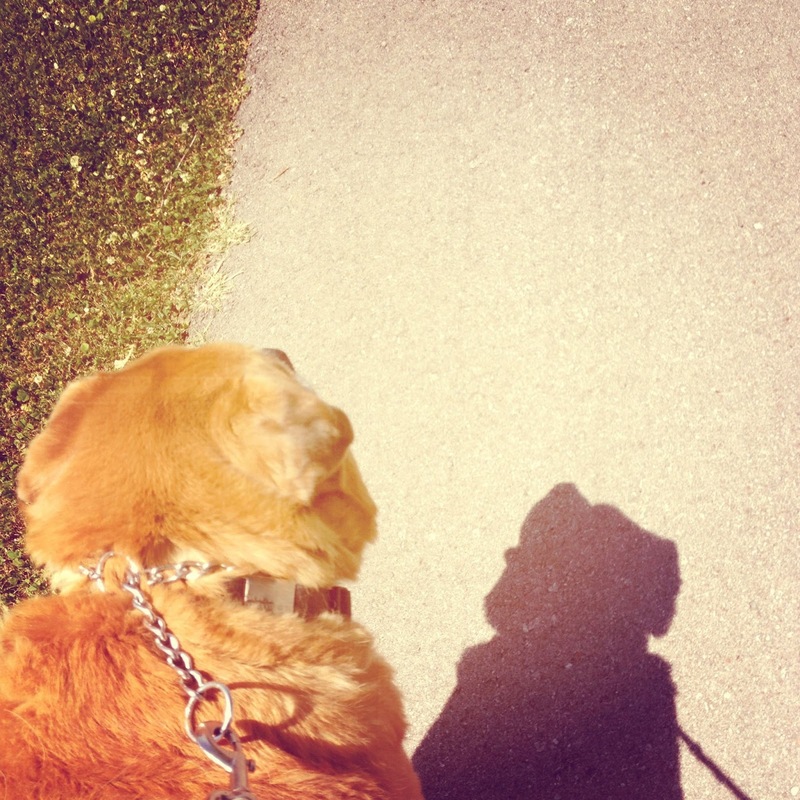 A boy who faithfully walks the dog every single day. 4185. Trying a new-to-us restaurant and discovering that it is one of Nashville's best kept secrets. The Ha family has a new favorite place to eat. 4187. Our nightly ritual of reading with our boy before bed. I especially love the deep conversation that flows afterwards. When the hubby and I did our big kitchen renovation last fall, we installed a gorgeous Boos Block Blended North American Hard Rock Maple Countertop on the island. The countertop is, by far, my favorite thing about our kitchen. As a rule, I try to do the bulk of my chopping on my Boos Block cutting board. I've had it for years and it seems silly to mar the countertop when I have an amazing cutting board at my disposal. 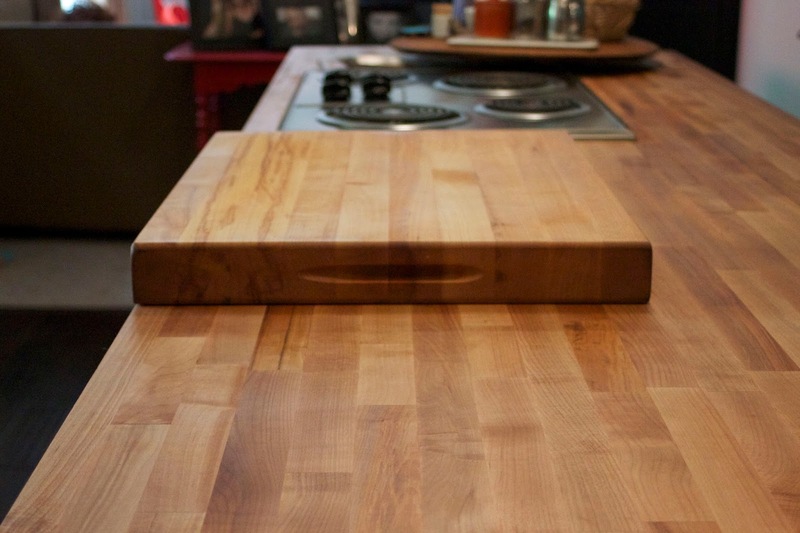 Both the cutting board and countertop are wiped down with hot, soapy water multiple times a day. As with any unfinished wood surface, I am careful not to leave any water or other liquids pooling on the surface as it can warp and age the wood prematurely. 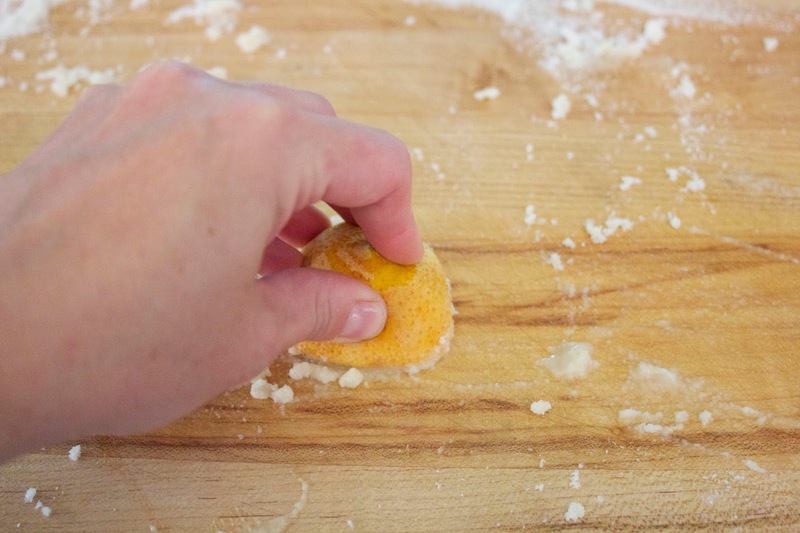 Once every week or two I give the cutting board and countertop a good scrubbing. The process is really quite simple. 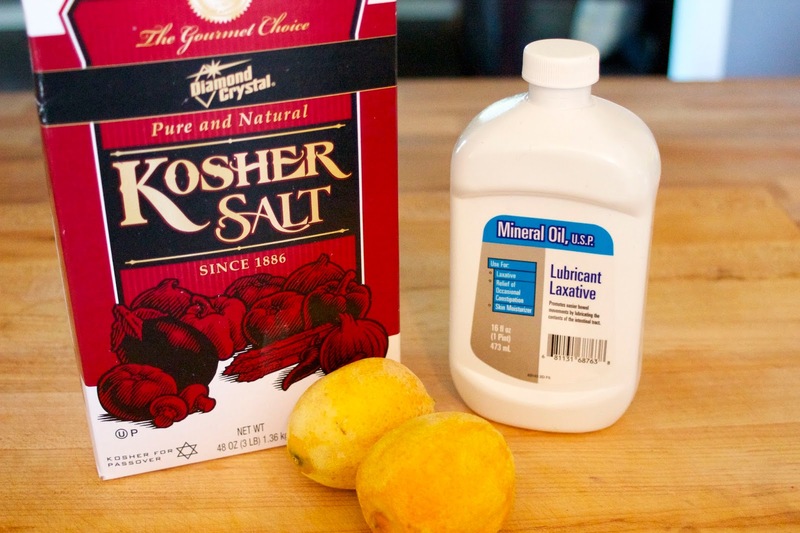 All you need is coarse salt, an old lemon or two (these gave their zest to a yummy dessert) and some mineral oil. Mineral oil can be found in the digestion help/laxative section at your local grocery store. 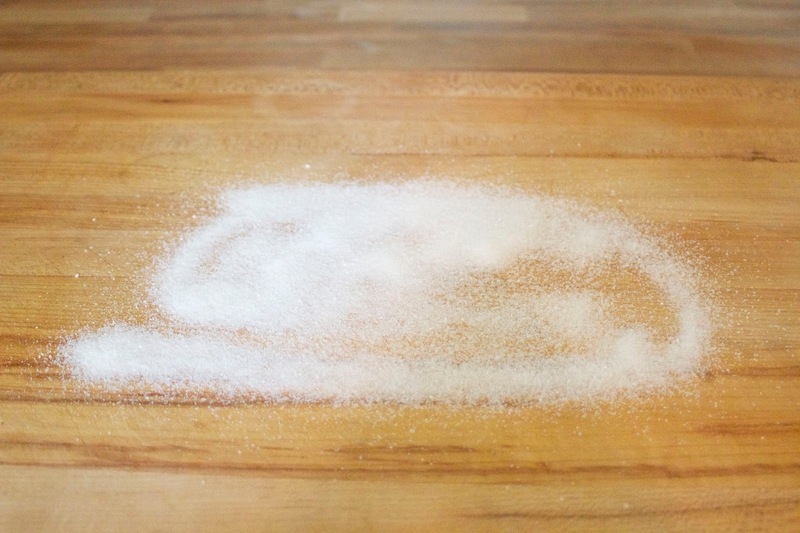 Begin by pouring a generous amount of salt onto the wood surface. 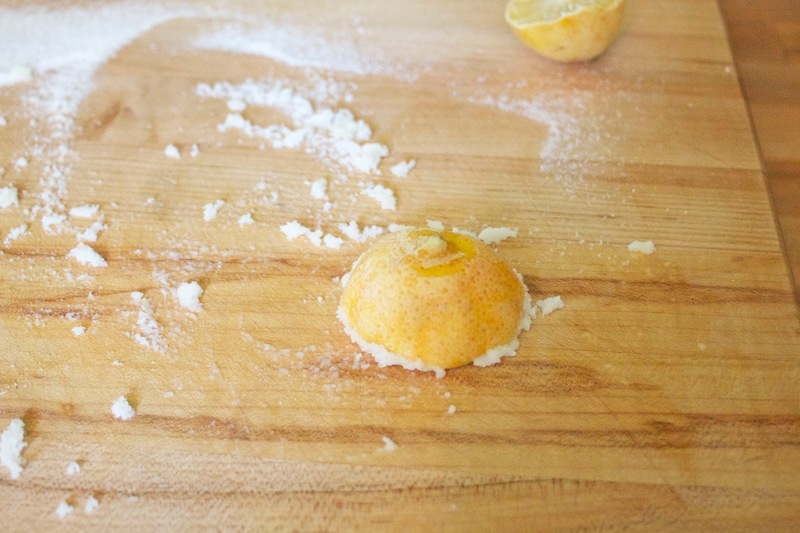 Cut the lemon in half and start scrubbing using one of the cut sides. The lemon juice combined with the abrasive quality of the salt will gently lift any dirt and grime from the wood grain without scratching. Don't be alarmed if the lemon juice/salt mixture starts turning a little gray. That just means it's doing it's job. 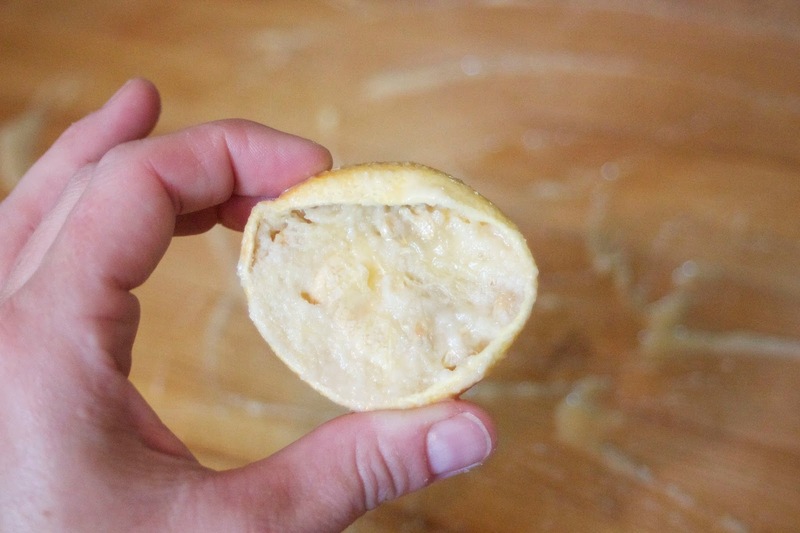 When your lemon starts to look like this, it's time to toss it in the trash and grab the other half. Keep scrubbing until you have cleaned the entire surface. Use a damp sponge or cloth to remove all of the lemon juice and salt from the wood. 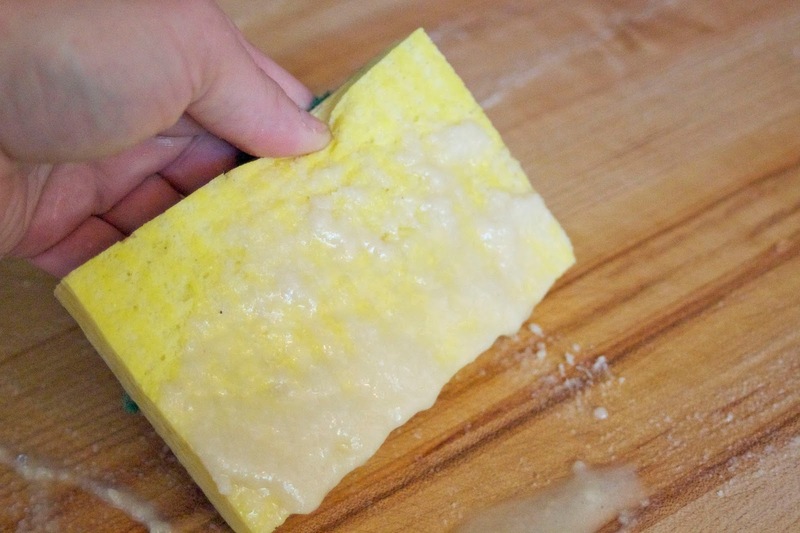 Then give the cutting board and countertop a thorough cleaning with a little hot, soapy water. Now you're ready for the final step. 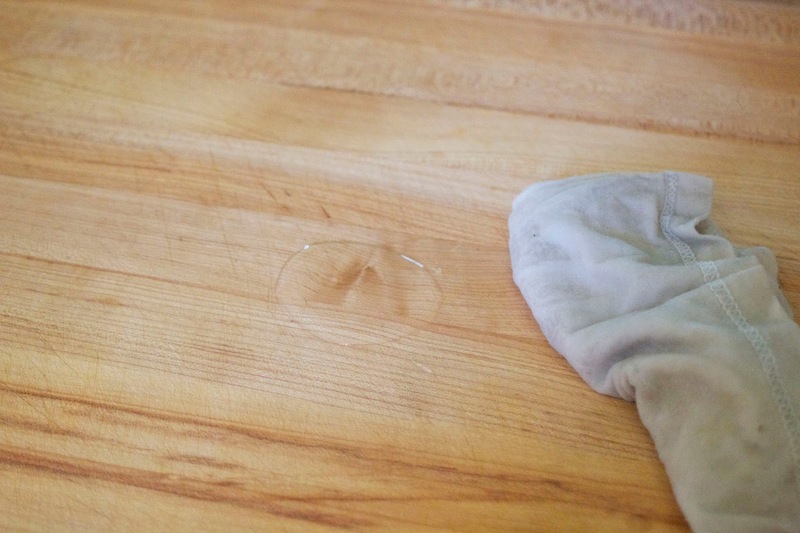 Pour a small puddle of the mineral oil onto the surface and rub it in, following the grain, using a soft cotton cloth. The wood will remain a little oily until the mineral oil has a chance to soak in completely. This usually only takes an hour or two. 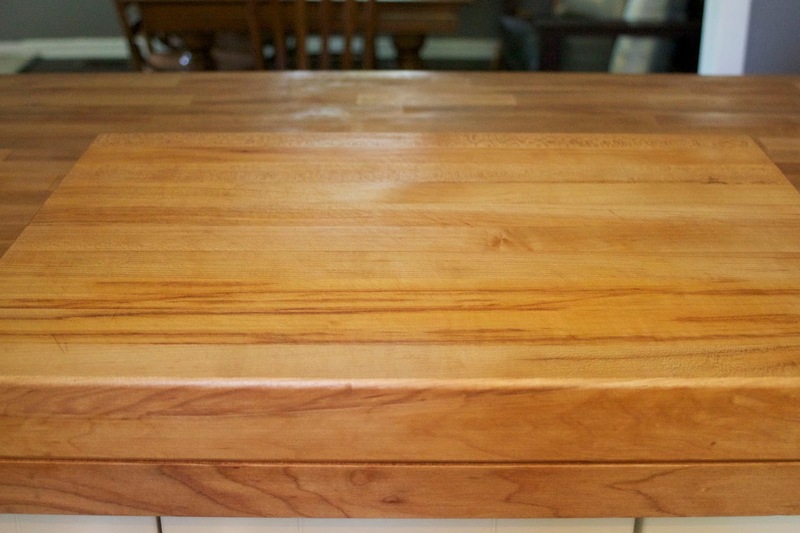 Not only does the mineral oil keep the wood from drying out, it provides a barrier of protection and will keep your cutting boards and countertops looking like new. As a side note, per the manufacturer's suggestion, I disinfect the cutting board and countertop with a bleach and water solution every so often. I also have a separate cutting board that I use exclusively for meat and poultry to prevent cross contamination. LOVES: Putting on his choke collar and leash. The sound of it being pulled off it's hook is enough to send Brick into a wagging frenzy. HATES: Exercise. Our old dog will tolerate walking for approximately ten minutes and will play fetch exactly one time. Once he's had enough, Brick will lay down and refuse to get up. It's especially helpful when you find yourself a mile from the house with a stubborn 96 pound dog. For the record, he's been this way since he was a puppy. 4161. Finding the first tomatoes in my garden. I am growing seven different varieties and cannot wait until all the plants are heavy with red, ripe fruit. 4162. Quiet mornings spent fishing on the Harpeth River with my boy. 4163. Spicy food. The older I get, the more I enjoy a little zip on my tongue. 4164. Talking with the hubby while we sit out back on a cool summer night. 4165. Reserving my ticket to visit Pearl Harbor in August. I am so excited! 4166. Sunny days after a month of seemingly endless rain. 4167. The way my boy's hair is so wild when he first wakes up in the morning. 4168. Jeni's ice cream on a hot summer day. 4169. Another year spent with the people I love. Who says growing older is a bad thing? 4170. Stretching with my boy in the morning. 4171. Picnic tables with giant umbrellas that offer shade during the heat of the day. 4172. Trimming some wayward branches from our trees to let a little more sunlight into the back yard. 4173. The cheerful blooms of the Black-Eyed Susan. 4174. My hubby, who is the best dad in the world. Copyright © 2006-2014 SHOUTINGFORHA - ALL RIGHTS RESERVED | STEALING IS KNOWN TO CAUSE HEMORRHOIDS. Theme images by Ollustrator. Powered by Blogger.